A study presented at ACG 2018 today is the first to show endoscopic balloon dilationis most effective in Crohn’s disease patients with fewer strictures. Strictures, the narrowing of the intestines due to inflammation and scarring, are a common complication of Crohn’s disease (CD) that are painful for patients and challenging for physicians. Currently, no stricture treatment is without difficulties: surgical removal of CD strictures has almost double the usual complication rate of other gastrointestinal surgeries in non-CD patients and disease recurrence is common, so surgery often needs to be repeated multiple times. A newer technique, endoscopic balloon dilation (EBD), is less invasive with a lower complication rate but is less effective than surgery. Most patients need repeat procedures and not all have a positive outcome. To identify which patients would benefit most from EBD, Nan Lan, MD, and Bo Shen, MD, of Cleveland Clinic’s Center for Inflammatory Bowel Disease (IBD) analyzed data from 117 Crohn’s patients treated with primary EBD from 2000 to 2016. The study was presented today at the American Congress of Gastroenterology (ACG) 2018. Patients were divided into two groups by diagnosis of single or multiple strictures: 81 single and 36 multiple. The latter was defined as more than one stricture dilated during a single endoscopy session. Of the 117 patients, 56 were male and 61 female. The average age at CD diagnosis was 32.2 years for patients with multiple strictures and 30.9 years for patients with single strictures; the average age at stricture diagnosis was 39.8 years with multiple strictures and 37.5 years with a single stricture. The average length of the strictures was 1.0 cm for multiple strictures and 2.0 cm for a single stricture. Regarding family history, three patients with multiple strictures and nine patients with a single stricture had a family history of IBD; two patients with multiple strictures and four patients with a single stricture had a family history of colon cancer. All patients were being treated with medical therapy, the majority with corticosteroids. The overwhelming majority of patients were symptomatic (83.3 percent multiple, 90 percent single), with the most common symptom abdominal pain. The researchers hypothesized that patients with multiple primary CD strictures would have a poor response to EBD. They tested this hypothesis by comparing the outcomes of EBD with single vs. multiple strictures; the primary outcome was resection surgery-free survival and the secondary outcome was post-procedural adverse events. Patients with multiple strictures tended to have shorter and more transversable strictures so immediate technical success was achieved at a rate comparable to patients with a single stricture (97.2 percent vs. 81.5 percent). However, the former group required multiple dilations and had a shorter interval between treatments. Post-dilation perforation was seen only in patients with multiple strictures and post-dilation nausea and vomiting was also seen at a higher rate in these patients. The subsequent surgery rate was significantly higher in patients with multiple strictures than those with single strictures (66.7 percent vs. 35.8 percent). In particular, patients with more than three strictures treated had a significantly higher risk for subsequent surgery. Dr. Shen and colleagues are currently investigating the use of another endoscopic technique – needle knife therapy – to treat primary CD strictures. This technique has the potential to “go beyond strictures to fistulas and precancerous therapy. It is a whole new direction for inflammatory bowel disease,” says Dr. Shen. 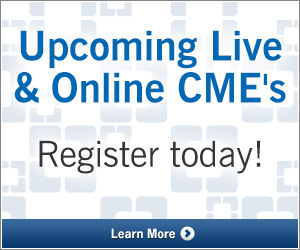 A site for physicians and healthcare professionals from Cleveland Clinic’s Digestive Disease Institute, ranked #2 in the nation by U.S. News & World Report. 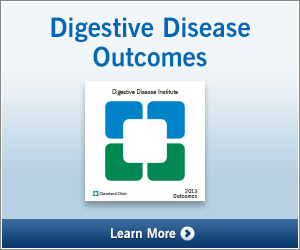 eDigest helps you stay informed on the latest digestive innovations, research and education from Cleveland Clinic.